Thanks to Youth Music, beginning on Tuesday 11th November SEND Project are delighted to be able to offer FREE Music Mentoring places to young people (12-18) with a passion for music. The programme is very flexible and allows young people to choose the length of their commitment and the the level of the Arts Award qualification they will work towards (if they so choose). 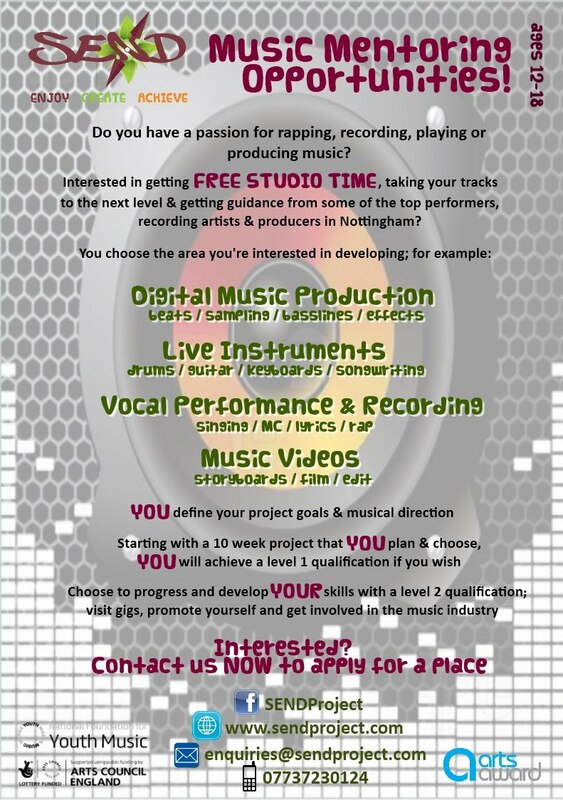 Essentially our referral criteria are broad so if the young person has a passion for music & you think they could benefit from of bit of 1:1 support & guidance then this project is probably for them. Check out the flyer for more info. Be quick – places are limited.